Which is the best luxury world cruise? A luxury world cruise is, without doubt, the pinnacle of a cruise holiday and indeed any holiday you could hope to enjoy. No other form of travel lets you see so many varied destinations in such comfort, as your luxury ship whisks you around the globe and brings you a new view each day. As for which is the best? There is no definitive answer. It depends on where you wish to travel, or the ship that most suits you and your tastes. What is a luxury world cruise? A world cruise will not necessarily circumvent the entire world. They are typically defined as a ‘world cruise’ when they take in at least two of the major continents or cruise regions, such as a Mediterranean and Middle East itinerary or a Far East and Australasia voyage. Yet there are many world cruises which do sail right around the world, offering you the opportunity to explore further and unwind for longer. Some of these itineraries are also segmented, so you can pick the part of a world cruise that interests you most should you not be available for the full voyage. What makes a luxury world cruise different is the standard of the ship you’ll be sailing on. If you’re calling a ship home for a period of months you’ll want the best possible, and six-star luxury ships offer a completely different level of service. From the finest dining crafted by master chefs to personal butlers attending to your every whim, outstanding entertainment to opulent spas served by expert therapists and masseuses – everything is tailored towards the most luxurious voyage possible. What to look for in a luxury world cruise? The former will be a large factor in your decision, but the destination should be equally important. 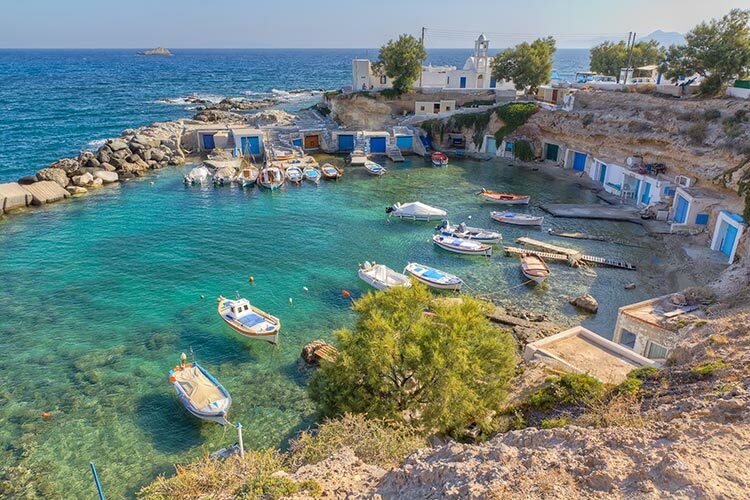 All luxury world cruises offer a mix of ports, including breath-taking metropolis cities, idyllic beaches and fascinating historic landmarks. Whether you want to revisit old favourites where you’ve been before, or discover parts of the globe that are new to you, you’ll find a breadth of itineraries to choose from. Your cruise line and ship is also a consideration, particularly on a world cruise where you’ll be spending more days at sea. You must decide how you wish to fill your time – on a smaller ship you’ll get to know fellow passengers closely over your voyage and share stories as you travel. 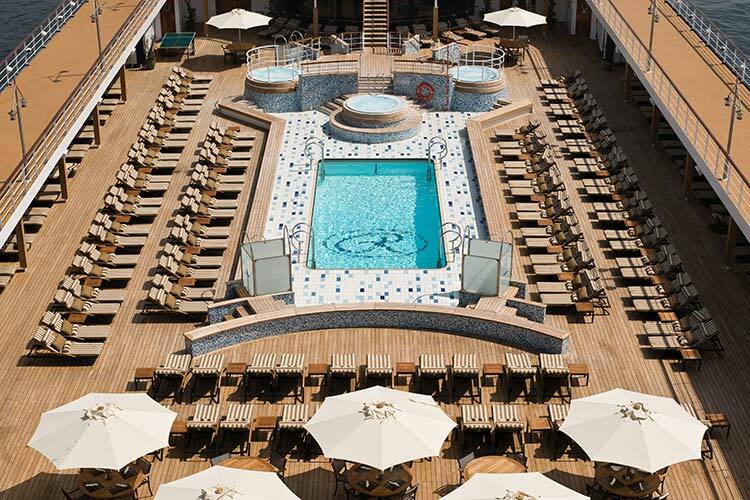 Whereas on a mid-sized ship, you can enjoy more space and leisure facilities. 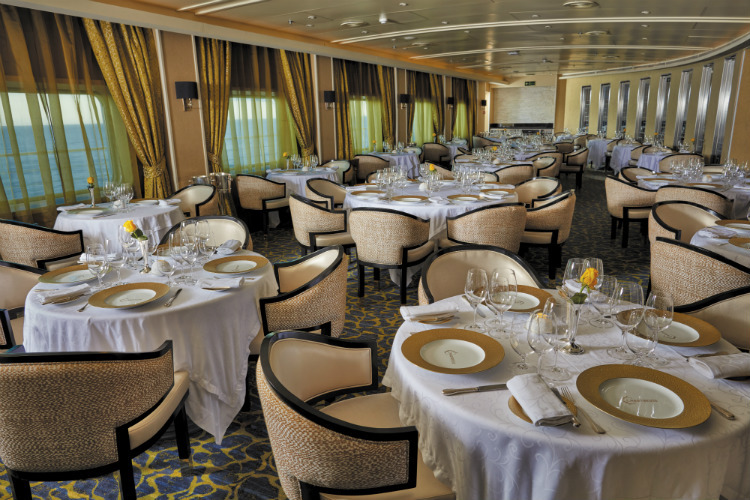 If service is the most important thing to you, then consider the ultra-luxury cruise lines of Silversea and Seabourn, or opt instead for the incredible and varied dining options of an Oceania Cruises voyage. Then there’s the newest luxury cruise line, Viking, with their fleet of ultra-modern ships offering a wealth of unique features. 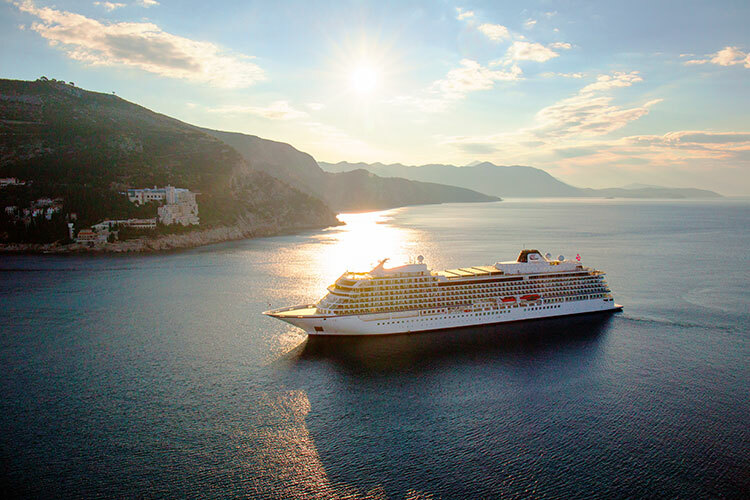 There’s a luxury ship for every type of passenger, and if you’re unsure on which to choose, call our expert Cruise Concierge team on 0808 202 6105 to help you narrow it down. As you’d expect, the most expensive world cruises tend to be the longer voyages, which are covered in a little more detail further below. One of the most expensive cruises you can currently buy is one of the longest, with Oceania Cruises’ Grand Expedition over 195 nights starting from £52,169 per person at the time of publication. For this, you’ll enjoy the wonders of the Far East and the western coast of the US, along with some of Africa’s most enchanting ports. Yet that pales in comparison to the world cruises offered on Silver Whisper with Silversea Cruises. This exceptional 140-night voyage offers the finest service at sea and takes you to a plethora of magnificent destinations across the globe. With Verandah suites available from just a shade over £73,000, this is one of the most exclusive holidays one could ever book. 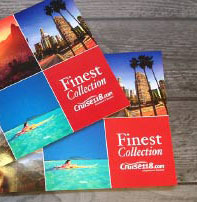 For a number of years, world cruises tended to have a maximum length of around three months. This has only begun to change recently, as travellers begin to value their time more and wish to spend even longer exploring the wonders of the world from the comfort of a luxury cruise ship. This has led to itineraries that have broken the half-year mark – spectacular voyages that last over six months and give you extended time in some of the world’s best cities and destinations, whilst also opening up the opportunity for more calls at lesser-visited ports with their own hidden treasures. Oceania Cruises has led the way in these longer itineraries, and their 200-night Global Quest aboard Insignia is no exception. Sailing from Miami to New York, it certainly takes the scenic route, travelling first through the Panama Canal to the west coast of the USA before heading south, around South America’s Cape Horn. Across the Atlantic, your ship heads to Africa and the Indian Ocean before she offers an extended sailing of the Far East. She then returns to the US with time in Alaska, before heading back across the Panama Canal to end her epic voyage. Yet this is not the longest world cruise you can currently book. 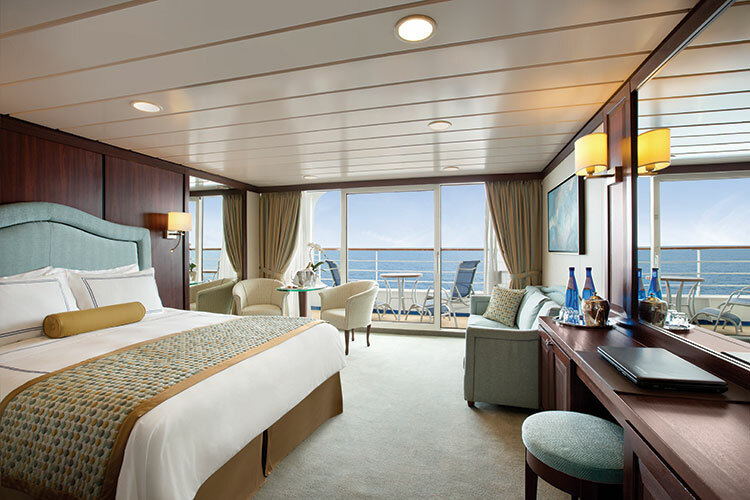 Instead, that honour falls to Viking Ocean Cruises and their spectacular 244-night voyage. Not only will you enjoy the magnificent service and facilities on-board this contemporary six-star ship, Viking Sun, but you’ll also be able to do it with the comfort of a round-trip from London. While this voyage includes the classic world cruise destinations of the Far East, Caribbean, South America and the Mediterranean, it also incorporates a tour of the UK and more ports on the US east coast, giving you even more thrilling experiences where you may not traditionally expect them from a world cruise. Luxury world cruises are unrivalled when it comes to adventure in an opulent setting. Let the world come to you as you set sail on the finest ships, enjoying exceptional six-star service everywhere you travel, and creating thrilling memories on a luxury world cruise holiday. Browse our latest World Cruises by clicking the button below or call our Cruise Concierge team on 0808 202 6105 for more information on world cruises and expert advice on where to sail.